Provides all the forms and tools needed to complete the actions outlined. 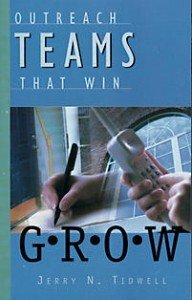 Outreach Teams That Win: G.R.O.W. 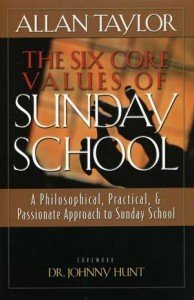 “The discipline of executing these six fundamentals will result in a successful, fruitful Sunday School ministry. 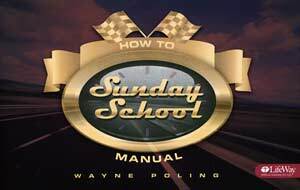 There is no magie involved in developing a healthy Sunday School – just hard work. “Our core values will shape us, for out of our principles come our philosophy and out of our philosophy comes our practices. Core values will help us move from doing things right to doing the right things. They will expose themselves in the litmus tests of setting standards, establishing policies, and making decisions. 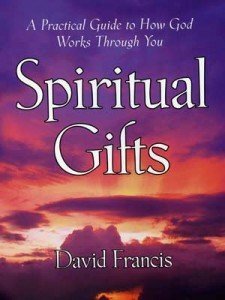 “God gives spiritual gifts to believers. By discovering and using your gifts, you can experience supernatural joy, energy, and effectiveness as you serve Him. “30 minute sessions that will encourage you to rethink and revive your Sunday School program. Sessions focus on topics like strategy, leadership, and consistency, among others. 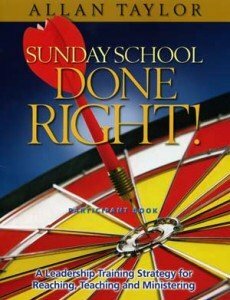 “Has the focus on Sunday Schhol at your church become blurry or altogether lost? “To improve on what is not being clearly seen isn’t easy. But here’s a ready solution. 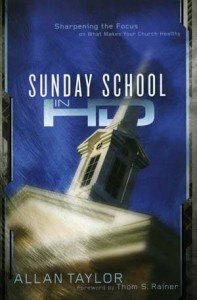 Sunday School in HD gives you a high-definition look at the crucial role Sunday School must play in producing healthy Christians who in turn produce healthy, growing churches. 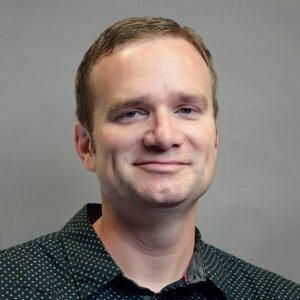 “With contagious passion and purpose, ministry professional Allan Taylor helps us see the importance of the Sunday School model to the total church ministry. 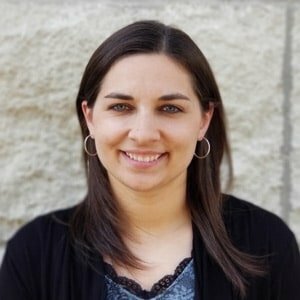 His expertixe shows how Sunday School has a superior ability to nurture deepening spiritual relationships and stir action toward the Great Commission across every age group, unifying the whole.